The Presidia sustain quality production at risk of extinction, protect unique regions and ecosystems, recover traditional processing methods, safeguard native breeds and local plant varieties. 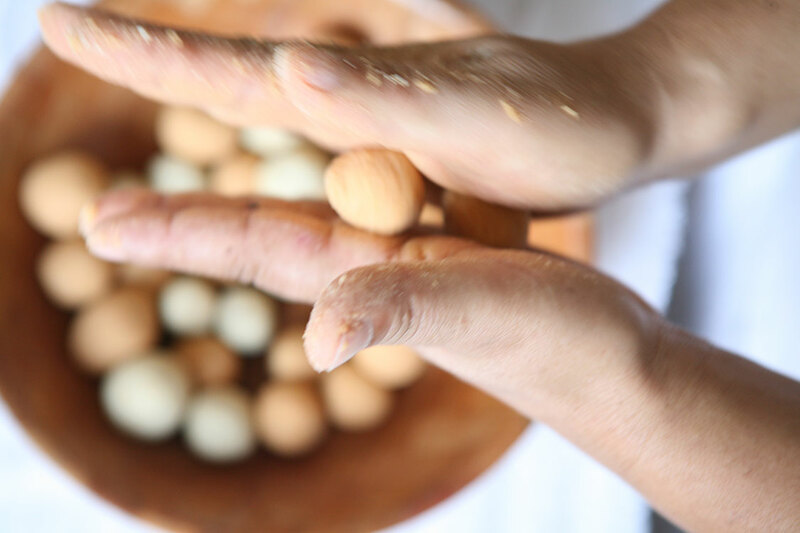 For more information and listings of international presidia, visit Slow Food Presidia. Leaving behind the ancient city of Tyre and continuing toward the border, the plain gives way to rolling hills that run to the sea. This is the region of Jabal Amel, rich with tradition and history, and unfortunately also one of the areas most affected by Lebanon’s civil war and the 2006 conflict. 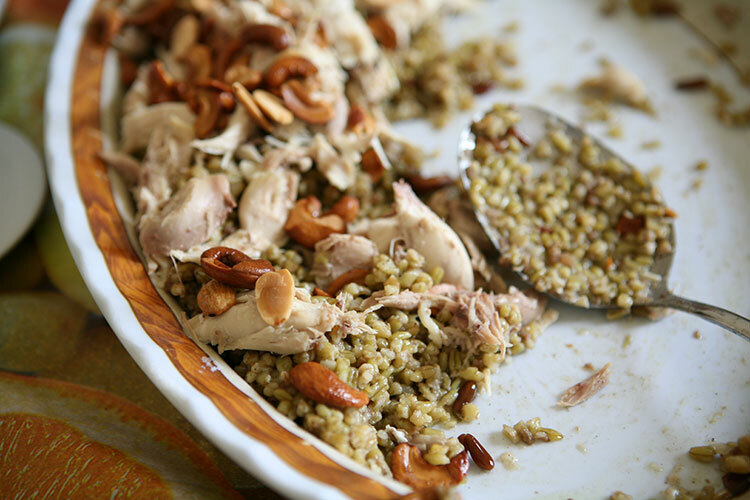 It’s here that from time immemorial comes the product called Freekeh – a distinctive green wheat that is harvested before it is completely ripe, when the leaves of the plant start to dry under the strong rays of the April sun. 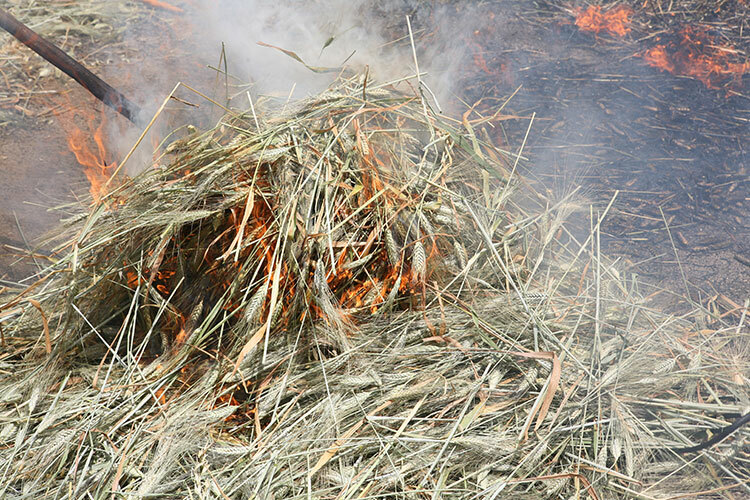 According to legend more than 2000 years ago, before leaving in retreat, soldiers who had attacked a village in the area set the fields on fire in order to destroy the wheat, condemning the local people to ruin. 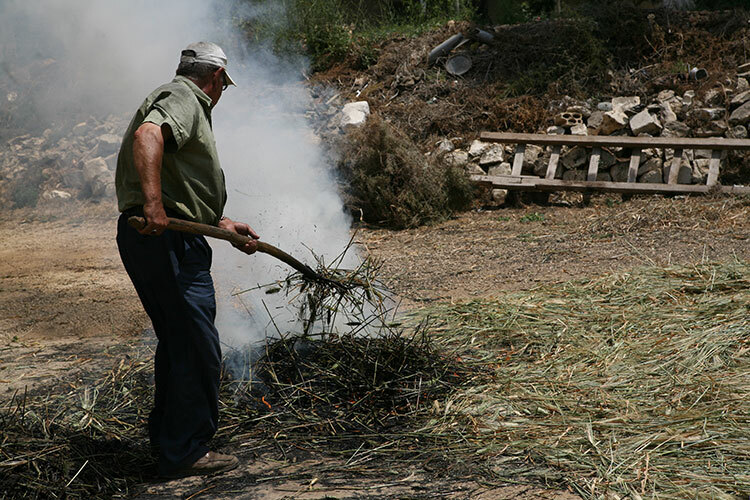 Instead, trying to save whatever they could the locals collected the burnt grain from the fields and after cleaning it, discovered a toasted grain that was green and very nutritious. 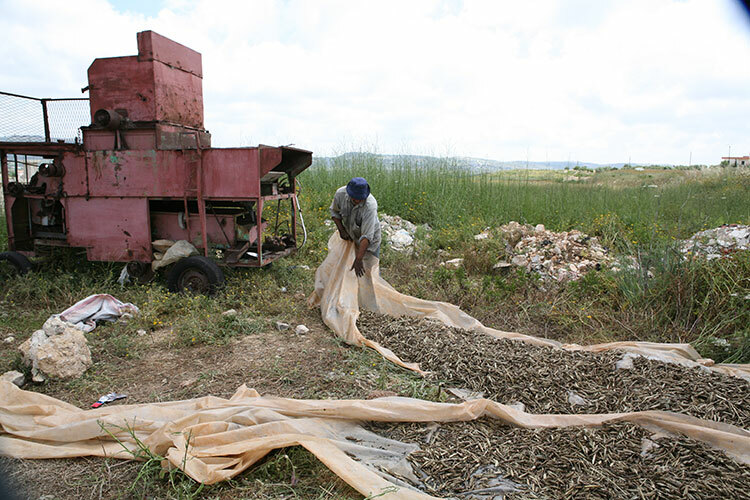 Freekeh started being cultivated in small quantities in many areas of Lebanon, but it was the region of Jabal Amel that was always known for the high quality of its production. Today, however, large quantities of industrially produced Freekeh from Syria have flooded the market, selling at a low cost. This, coupled with the increasingly widespread cultivation of tobacco subsidized by the Lebanese government, is putting the production of Freekeh in its place of origin at serious risk. Now only very small quantities of green wheat are produced in these limestone hills that only through the hard work of generations became fertile. 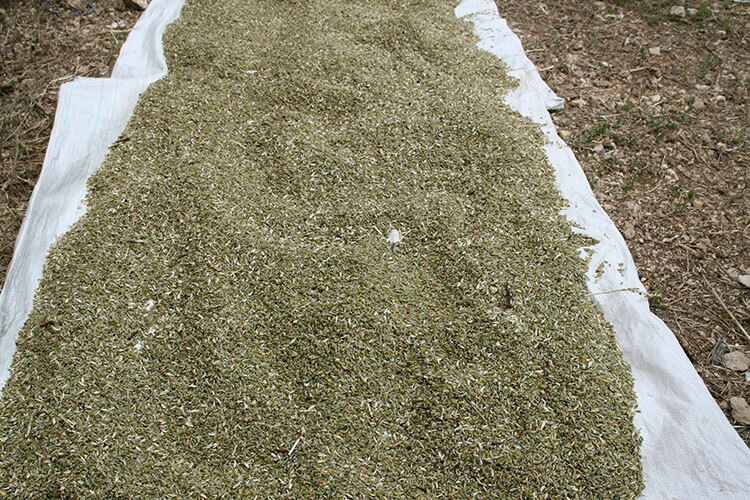 It is not only the special composition of the soil in the area that makes the Freekeh of Jabal Amel special, but above all its special processing. 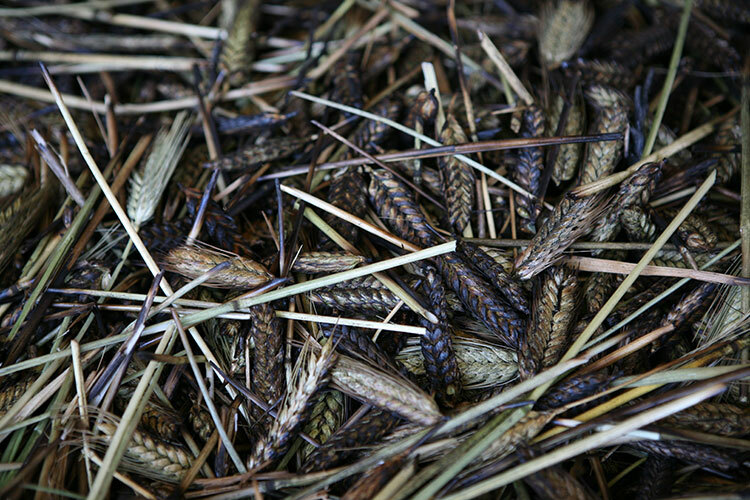 Even though this soft wheat is called “Italian” by the locals, the seeds have been handed down for generations. After being harvested by hand the wheat is left in the sun to dry for 24 hours. It is then spread on stones together with branches from a particular local shrub called balan. 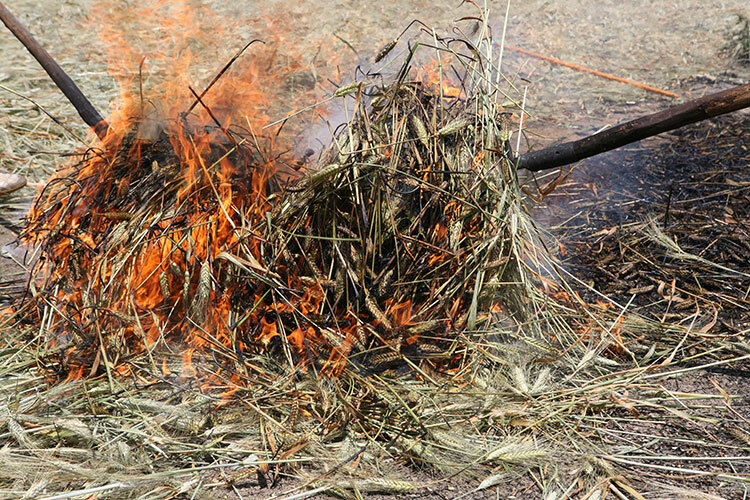 The balan is the fuel for an intense and very quick fire that burns the husks while the grain undergoes a rapid and even roasting. 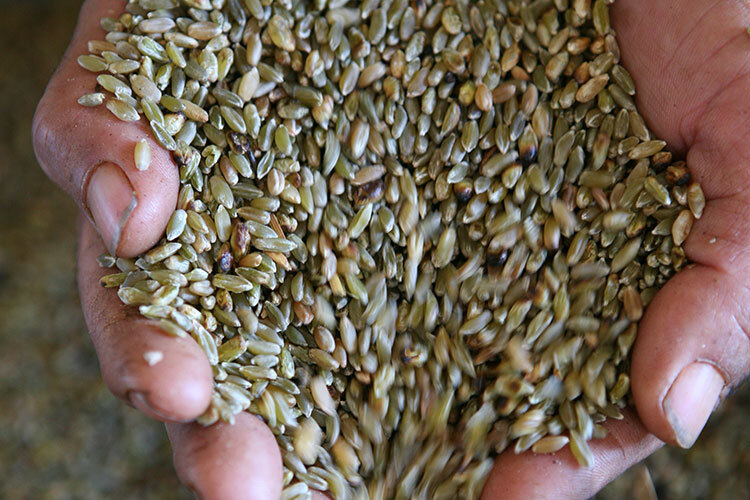 This stops the aging, improves the conservation and gives the Freekeh its characteristic toasted aroma. 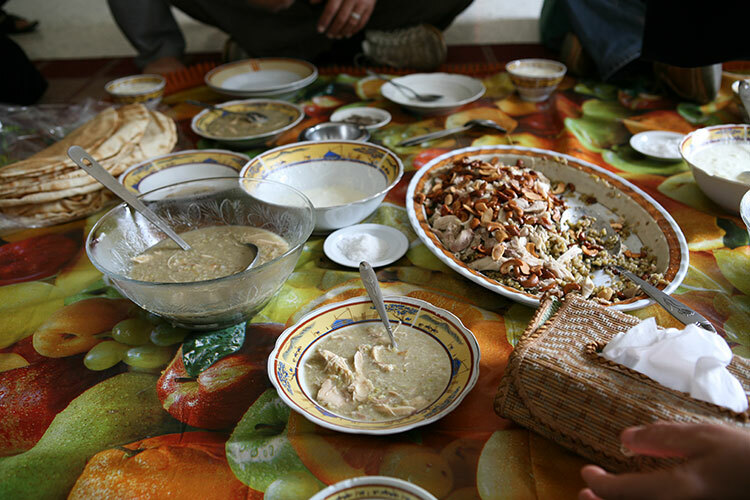 The people of the region usually boil it in soups and stews, but it can also be cooked like barley or rice. 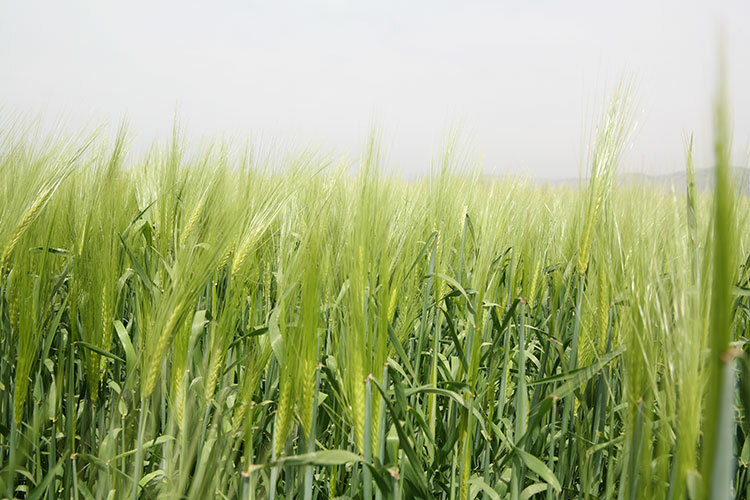 However it is prepared, this wheat plays a key role in the local diet because it is much higher in protein, vitamins and minerals than normal wheat. 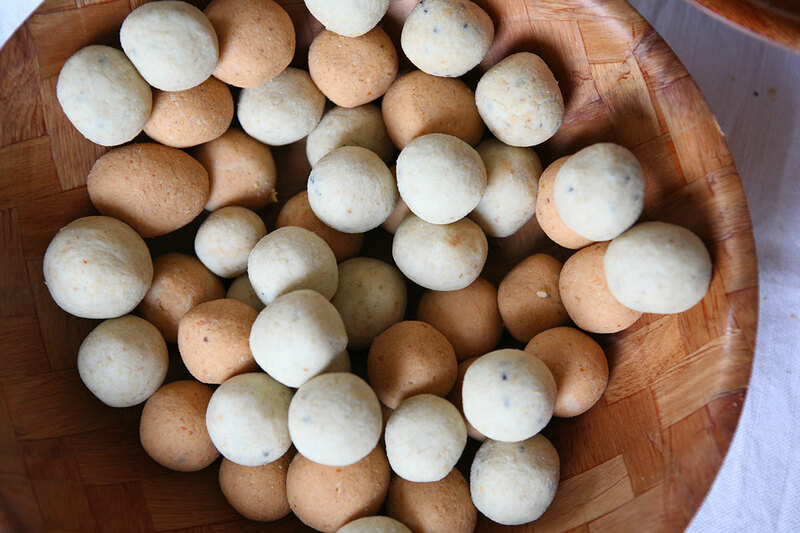 It also has a fiber content four times higher than rice and it is rich in calcium, potassium, iron and zinc. Around ten kilometers from the ancient city of Tyre is Majedl el Zoun, a small village of Muslim farmers is situated in a dry stony landscape, not far from the border with Israel. 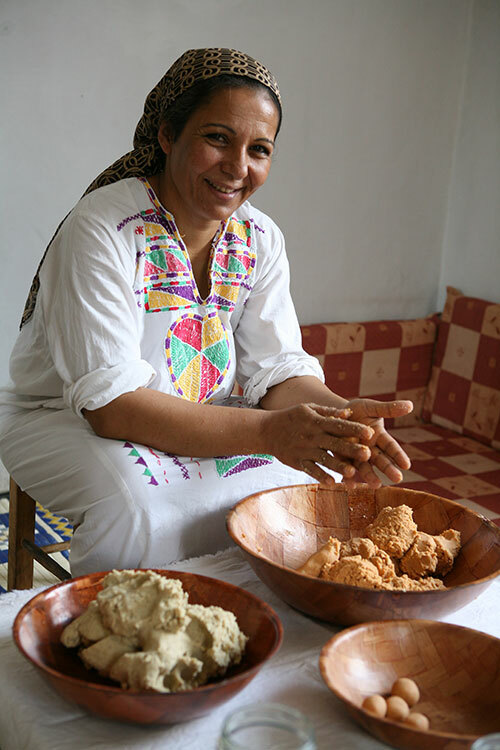 Their Kechek el Fouqara or “poor man’s cheese” in fact uses no milk , whereas keshek is commonly made with goat’s milk yoghurt and is produced using wheat bulgur fermented in water and sea salt, following an ancient recipe that has undergone modifications and sparked many variants. It is also called Jebnet el Burghol (burghul cheese), and was a very common product until 50 years ago, because the poorest people often did not even possess a goat or could not afford to buy milk for the preparation of yoghurt. 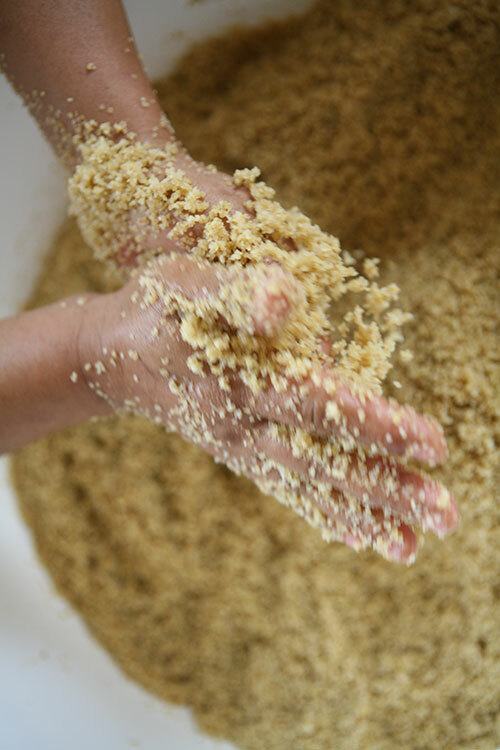 The freshly harvested wheat is cleansed of impurities, washed, and left to stand in water for at least eight hours or until the wheat berries slightly sprout. It is then boiled in a large pot on a wood fire. After cooking for 5 or 6 hours, it is dried in the sun on large white sheets. 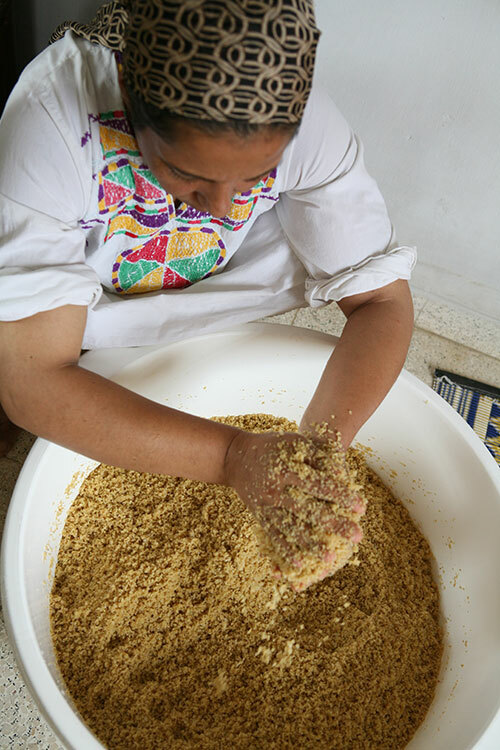 At this point it is taken to the mill and made into burghul (fermented, ground corn). 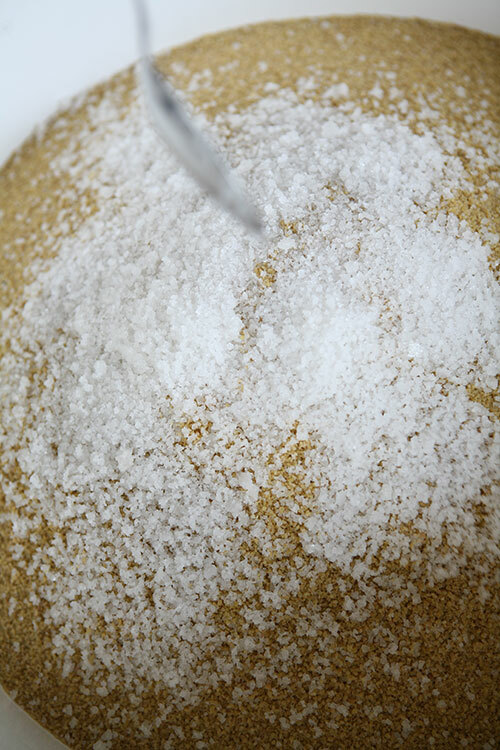 Water and salt are then added and it is left to ferment from two to four weeks according to the season. 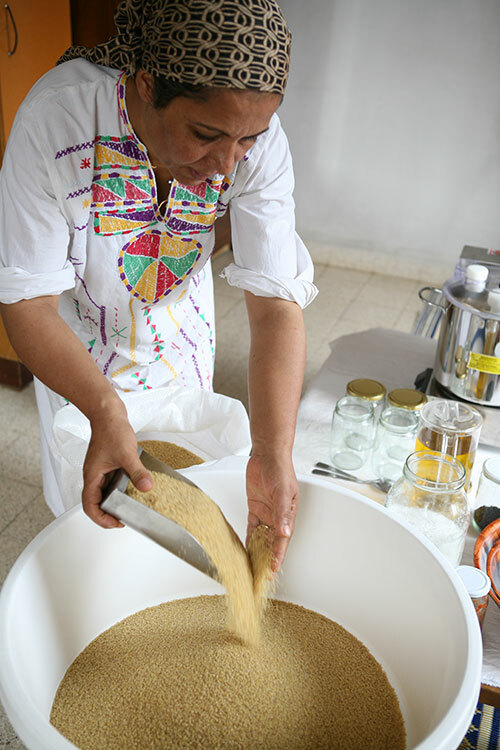 It is then ground, left to ferment for another week and finally worked by hand until a homogenous, elastic mass is obtained The product can have a plain taste or flavors can be added, such as thyme, cumin, nigella seeds, sesame seeds, red, green or black peppers. 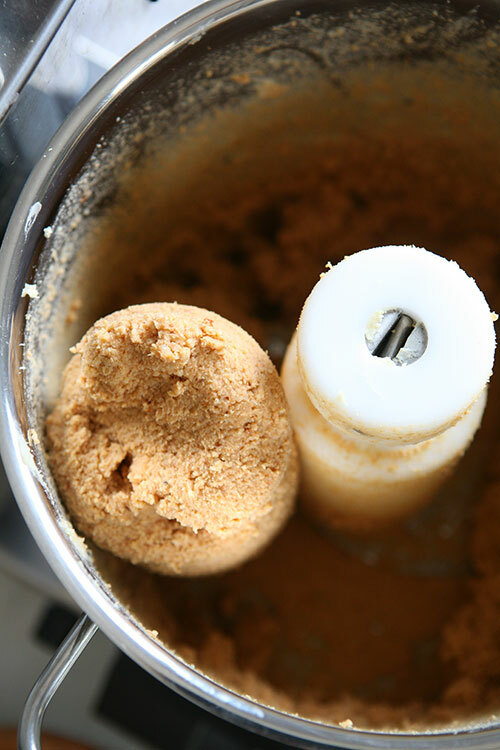 When the mass is still moist it is shaped into small balls. They are then stacked compactly in glass jars, local extra virgin olive oil will then be poured to cover entirely the vegan cheese for preservation and taste. Poor man’s cheese can then be kept for a year or longer.